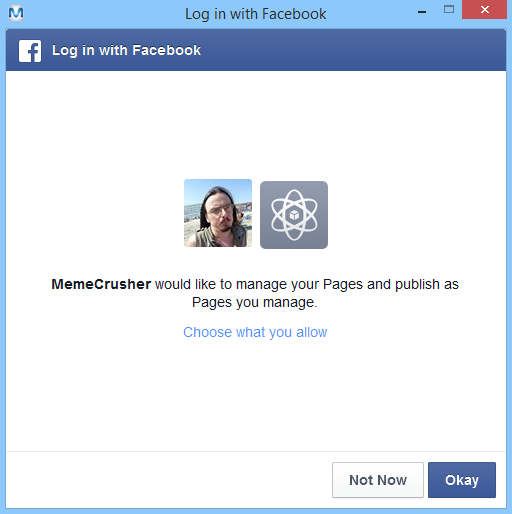 To post to Facebook you need to create a Facebook app. This tutorial will walk you through all of the required steps. 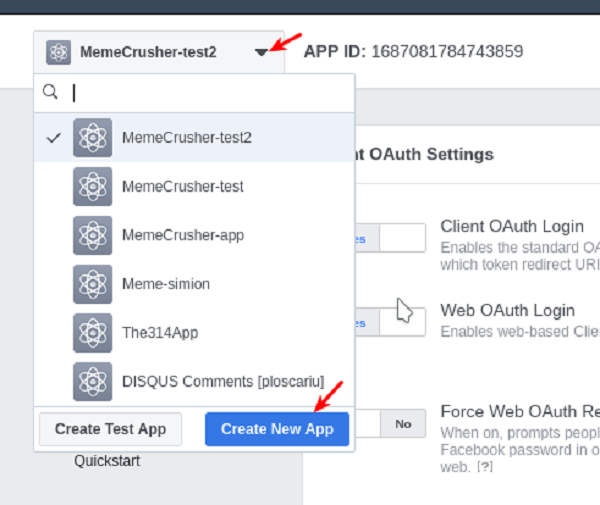 Once you have created the app you will need the ID of the app, which is added directly into the ‘Settings’ section in MemeCrusher. Note: When selecting a name for your app do not use the word ‘Facebook’ in it. This is a trademarked term. 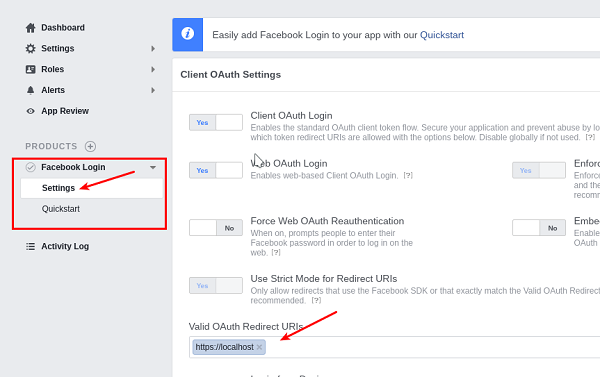 Step 1: Go to https://developers.facebook.com/ Sign in with your Facebook username and password. 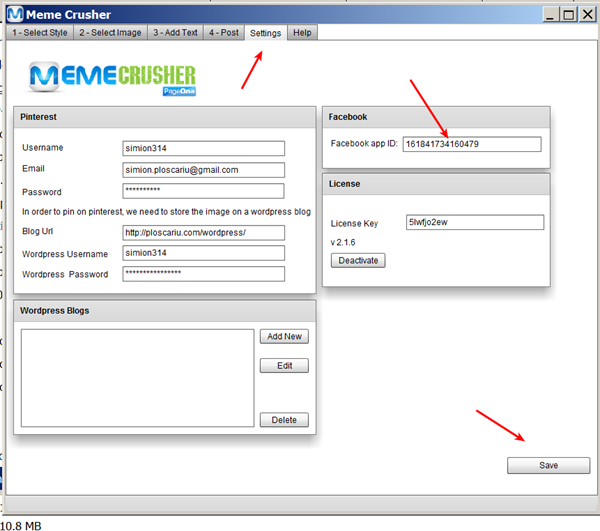 Type in the app name (you can give it any name you like, however, we suggest using MemeCrusher) and create the App ID. 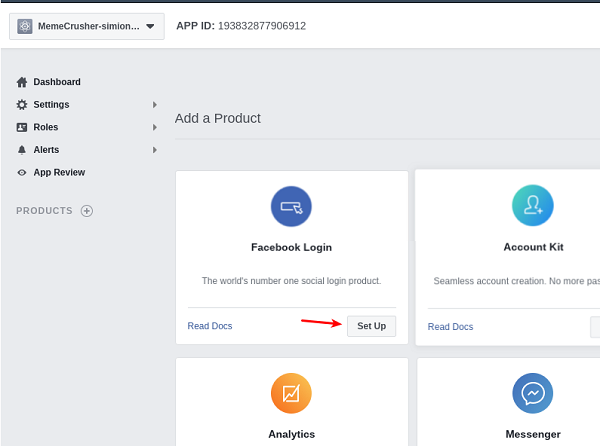 The next step is very important: Click on the Settings tab found on the left sidebar under ‘Facebook Login’. 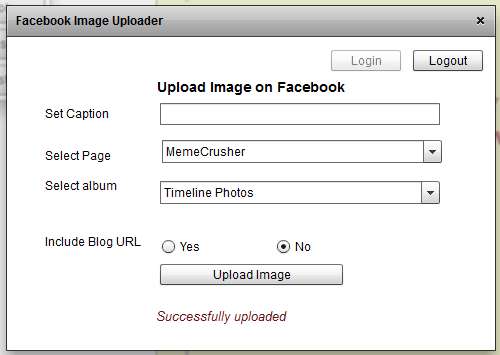 Step 4: Go to ‘Post’ and click on ‘Login’ in the popup window. Step 5: Ignore the ‘Submit for Login Review’ warning box and click on ‘Okay’. 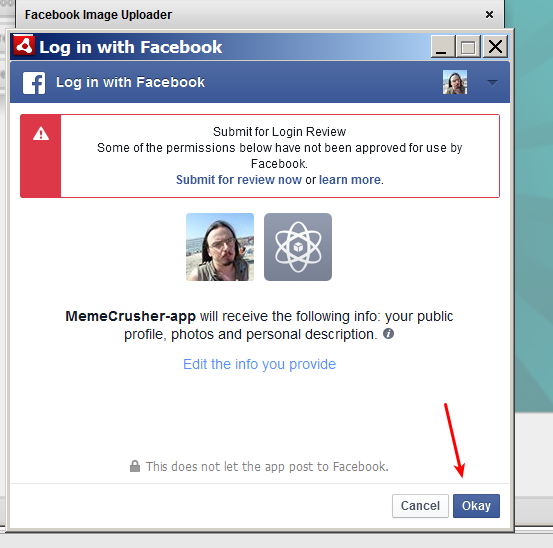 Step 6: A second pop up will appear – again click on ‘Okay’. You are now done and your app is ready to start posting to Facebook.